WOW’s mission is to embody and give voice to the feminine wisdom within all, to transform personal and collective consciousness through circle leadership in community. We recognize the leader in all of us and believe in sharing leadership. As we strive to bring forth our personal leadership gifts, we create a culture of change agents for a sustainable world. Join us as we train you to be a circle leader and bring this feminine model to the greater community. Your active participation in the training will enhance everyone’s learning. We will learn from each other, recognizing that we all bring our wisdom as we sit in circle together. 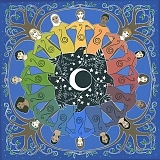 During the retreat you will participate in circles, lead circles, and create healing circles. The size of the retreat will be intimate, with no more than 15 attendees, but we need a minimum of 8 people to afford this retreat. Please email Women of Wisdom at wow@womenofwisdom.org to rsvp and for an application form. I came to WOW’s Circle Leadership training in search of a tool that I could use in both personal and professional settings. I was unfamiliar with circle as a form of leadership, but I was drawn to its core principles of equality, collaboration, and group connection. With each class I gained more confidence in my comprehension of circle leadership and felt more connected to the women with whom I was sharing this circle. And by the end of our weekend-long retreat, I knew I had become a part of a sisterhood. What I have gotten out of this course is so much more than just a tool! It has given me confidence in my ability to lead, a profound understanding and respect for an ancient practice. I will treasure this bond with my classmates and facilitators forever! I am impressed with the WOW Circle Leadership training as it prepares us for the process of circle leadership by doing and being all the roles as we attend each class. Kris, Roberta, and Bergith have brought unique and interesting exercises and topics to our classes that brought about some surprises in creativity of one another, but also the ups and downs of relationships in a leadership circle. The leaders are women who lead and walk the talk of this program. I am happy that I made the commitment to walk this path with them and my other sisters who are in the group. I am looking forward to the surprises that the next year will bring and how I can utilize the new skill of Circle Leadership. Thank you Kris, Roberta, and Bergith.